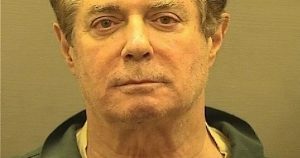 President Trump’s former campaign chief, Paul Manafort, repeatedly lied to the FBI in violation of a plea agreement he reached with special counsel prosecutors about two months ago, according to a court filing late Monday. Robert Mueller’s special counsel team wrote that Manafort’s “crimes and lies” about “a variety of subject matters” is a breach of his agreement, the New York Times reports. Since he violated the agreement, the prosecutors said, Manafort does not deserve leniency when he is sentenced. It’s unclear what prosecutors believe Manafort lied about, but his lawyers have an opportunity to challenge the prosecutors’ allegations. Judge Amy Berman Jackson of the United States District Court for the District of Columbia is expected to soon announce a sentencing date for Manafort, who has been in solitary confinement in a jail in Alexandria, Va.
Posted: November 27th, 2018 under News Story. Posted: August 12th, 2015 under News Story. 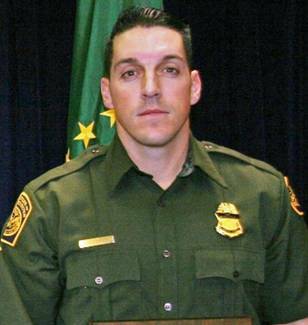 A Border Patrol supervisor pleaded guilty to assaulting another agent in a work meeting at a field office in Port Angeles, Washington, the Peninsula Daily News reports. On Wednesday, Mauricio G. Benitez, 42, acknowledged he choked an acting field operations supervisor and pinned him against a chair, the Daily News wrote. The plea was part of an agreement with prosecutors to avoid jail. In exchange for the plea, the Justice Department will seek three years of probation and possible angle management classes. Benitez, who is on administrative leave, is to be sentenced June 5 at U.S. District Court in Tacoma, the Daily News reports. Posted: March 29th, 2013 under News Story.